Flood victims wade through waters at Greenvale. 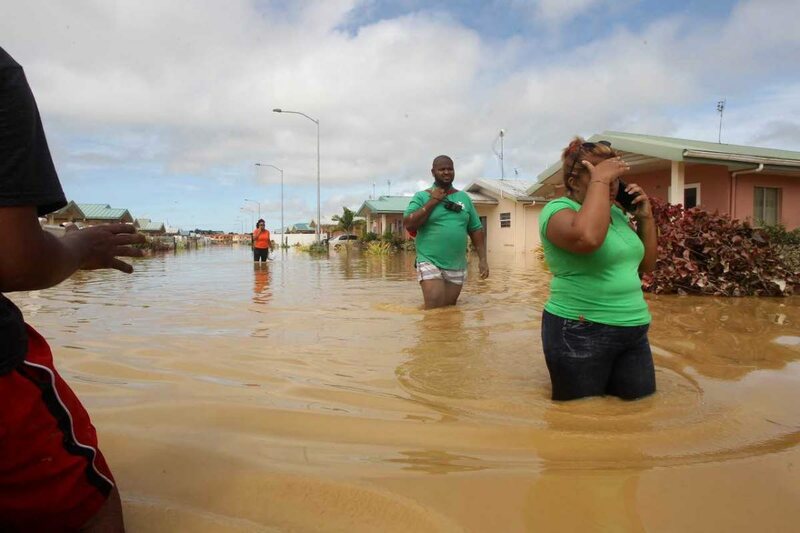 A traumatic incident like the extreme flooding affecting the country can turn lives upside down and can also affect people emotionally and psychologically. Disaster-relief efforts are gaining ground, and part of this involves addressing the mental health of those affected in the communities. It is important to know what to expect and how we can help ourselves and help each other cope. and there is no right or wrong way to feel or react. People have been affected in different ways and all have different ways of responding. How someone reacts to a disaster is based on many things– for example: their age, gender, past experiences with flooding, the resources they have available, their current mental health and coping strategies. It may also take some time before they feel better. Ideally, the psychological effects will fade with time as life returns to normal and with good social support. However, this may not be the case for everyone. “Watchful waiting” is a good approach in which you keep an eye on how you and others are doing. If the feelings don’t go away or are getting worse and affecting daily life, you may need more help. For some people, they might develop a depression, post-traumatic stress disorder (PTSD) or an anxiety disorder. Strong social support from family, friends and community members will be critical. Some people may also go on to need professional help from a psychiatrist, psychologist or social worker. 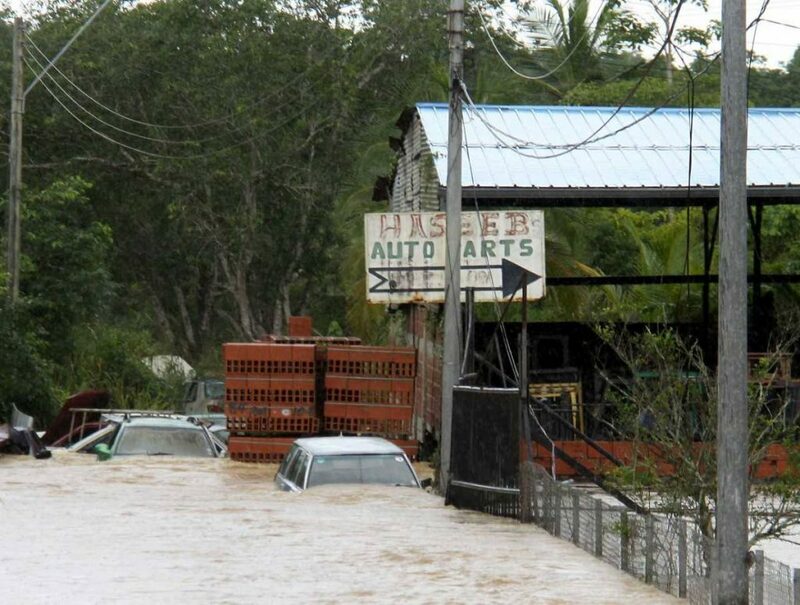 Cars are almost submerged in Caroni flooding. Limit your exposure to graphic news stories about the flood. The additional stress and problems posed by the floods may lead to hopelessness in some people and trigger suicidal thoughts, especially if they have experienced depression before. Talking openly and listening without judgment can help. Asking won’t harm them, talking about suicide won’t increase the chances that someone will act. Affected persons can also call Lifeline at 800-5588, 220-3636, 231-2824 or visit their nearest health centre or wellness centre or talk to a doctor. If you are concerned about someone and think it is an emergency, you can call 999. If you work at a company that has a EAP (Employee Assistance Programme), contact your manager and you can arrange to see a psychologist. What can you do to help someone cope with the disaster? This information was compiled by clinical psychologist Dr Katija Khan, university lecturer and immediate past president of the TT Association of Psychologists. Some of the information is adapted in parts from different sources including: New Jersey Department of Human Services-USA, Cumbria-UK Government, Health Protection Agency-UK. Khan is the co-ordinator of the University of the West Indies’ (UWI) MSc Clinical Psychology programme. Reply to "Preserving mental health during flooding"